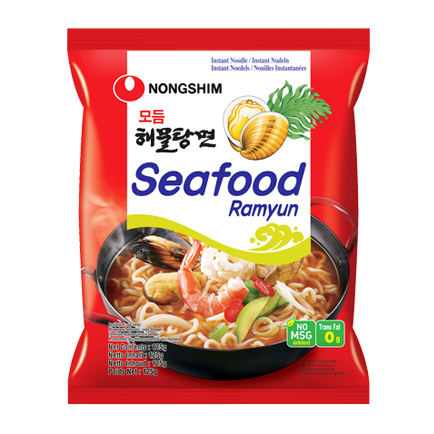 Delicate and enriched flavor of seafood ramyun with an assortment of various seafood such as shrimp, cuttlefish, mussel and seaweed, making a refreshing and spicy soup broth. 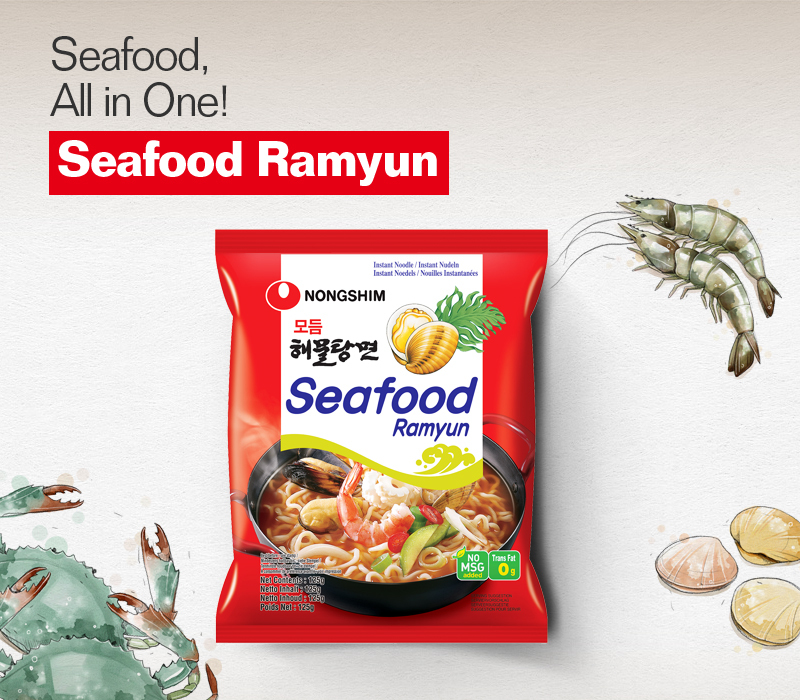 Rich seafood content provides a deep refreshing seafood flavor. Clean and spicy soup broth brings the flavor of traditional assorted seafood soup. 1. Add noodles, vegetable mix and soup base to 550ml of boiling water. 2. Cook for 4 1/2 minutes. Stir well and serve.